from Flash ... to HDTV view online samples below! At EZ New Media, we produce network quality television commercials and syndicated television programming that have been seen everywhere ... from ABC's Good Morning America and CNN .... to local television stations like Chicago's WBBM and Duluth's WDIO here in the Midwest. 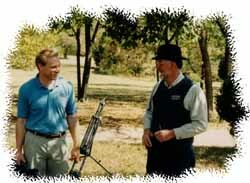 Our marketing and promotional videos and DVDs are produced with the same attention to detail and quality as our television commercials and programs .... so they deliver results for our clients. We are one of the only all-digital network broadcast quality post production facilities in the Upper Midwest! What this means to you is unsurpassed quality with your finished production. HDTV is here, and EZ New Media has made the leap with several state-of-the-art digital HD video cameras allowing us to shoot spectacular film-quality footage under even the most adverse lighting conditions. Plus, with our new custom built non-linear editing systems, we are able to stay completely within the digital domain from start to finish. Need to be in studio while we edit, but can't travel to Western Wisconsin? We can load up one of our editing systems and come to your place of business! Of course, no matter where you need us to shoot your video footage ... whether it's here in the Midwest, the West Coast, the East Coast, or in any country in the world ... we're there. Still using that old dinosaur Beta SP? 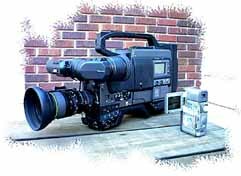 After using our D-9 and HD gear for your television commercials, promotional and marketing videos or television programming, you won’t go back to analog or standard def! Although our facilities sport the latest digital equipment, your finished production can be distributed or duplicated in a number of analog or digital formats in both high definition and standard definition: HDCAM, XDCAM, DVCPRO HD, HDV, D-9, Betacam SP, DVCPRO, DVCAM, Mini DV, one inch, 3/4 inch SP, SVHS or VHS. We can also distribute via satellite or the Internet ... or convert your production to DVD or CD-ROM. Everything we produce can be converted to just about any Internet format you require ... Flash Video, RealMedia, Quick Time, MPEG, Windows Media .... and then streamed from your web site. What sets us miles apart from the web developers out there is our quality: no web cams or consumer capture cards here! EZ New Media has worked with clients large and small to produce award winning television commercials and syndicated programming, training and promotional videos, educational videos and more! We pride ourselves on our ability to finish projects on time ... and under budget. Samples of our work can be seen below or request a demo DVD by filling out this short form. All of the video samples below were produced originally for either television broadcast or video/DVD distribution before being converted to an Internet streaming format for this web site. No matter what size, format and compression scheme you require for video on your web site, we can deliver! If you would like to receive a DVD copy of these samples in the mail, please contact us by filling out this short form. Click Here to STREAM VIDEO! FLW Outdoors is the world's largest tournament fishing organization and their programming airs every week on Versus Country on Sundays. This big budget multi award-winning television commercial was shot on location in Florida on film and HD and was designed to air during the program as an image piece to reinforce the theme, "I Fish FLW!" This award-winning :30 television PSA aired nationally and was produced for the National Marine Manufacturers Association in Chicago on behalf of the U.S. Coast Guard to promote life jacket use. This is a short 1 minute portion of a multi award-winning 28 minute DVD we produced for Kellogg's. The intent behind the DVD was to introduce the Kellogg's Fishing Team to the general public. EZ New Media not only developed the concept, but also shot and produced the DVD and even designed the DVD packaging. The DVD was distributed nationally in early 2007. EZ New Media works with a lot of auto dealers, producing everything from hard sell to soft sell and image commercials on a monthly basis. When Link Brothers Ford came to us, although they were an established business, they needed to reintroduce themselves to the community to basically promote a change in management. This soft sell commercial blended familiar scenes in Rice Lake, WI where Link Brothers is based along with images of the people at the dealership. This was a very successful campaign for Link Brothers Ford. 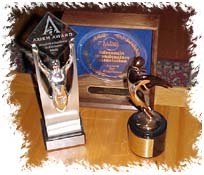 Here is another award-winning commercial for Link Brothers Ford. This spot was designed to build awareness in a humorous way for Link's auto body repair facility. In the spirit of fairness, we did create a second version of this commercial called "Men Working" that featured a woman driver and a highway construction "dude" ... with the same results! In addition to auto dealers, EZ New Media works with a lot of boat dealers and boat builders. This hard sell spot for Crystal-Pierz Marine, one of the largest boat dealers in the country, was designed to generate excitement and energy for a huge factory boat liquidation. This video was produced to showcase the incredible features of the new line of Windsor Craft mahogany picnic cruisers. These boats are for those who want absolutely the best ... and have the money to spend: the 36 footer in this video starts at a cool 600k! Although eventually turned into a DVD, this video was first produced to be featured on Wal-Mart's Sam's Club web site. A custom gyroscope device was used to get the smooth boat to boat running shots you see in the video. This award-winning humorous commercial for Chippewa Valley Office Solutions was designed to turn some heads ... and it certainly did just that! Larry Heagle is one of the funniest comedians we know, and this song forever immortalizes that little blood sucking creature from Hell ... the wood tick! Larry wrote and performed the song ... and that's Larry and his wife Kim playing the starring roles! This spot was produced using footage we shot over the course of two years to convey the energy, excitement and frankly "color" of the Donnie Smith Custom Bike Show. In another humorous, award-winning commercial for Chippewa Valley Office Solutions, Jeff from CVOS anticipates everything a new customer need for his office ... and then some! Believe it or not, compelling commercials can be created even without live video. This television commercial for an exclusive Milwaukee area home builder was created using only still photos and graphics. Nice looking commercial with a lot of action and fun for a waterpark resort near Wausau, Wisconsin.